Next time you're watching TV, try this experiment. Turn off the sound. Can you follow the story? Do you know what’s going on? Do you understand the relationships between the characters? What you say, coupled with the tone you use, are the most important elements of any conversation. If you try and control all you say, you end up speaking painfully slowly. It’s not sustainable and everyone knows you’re measuring each word. When you speed up, you can’t help but let your guard down. Think Tony Blair being interviewed mid-morning by a friendly Fern Britton on the Iraq weapons of mass destruction debate. Blair didn’t mean to say, ‘I would have invaded Iraq anyway.’ But he did. If you can keep me talking, there’s a good chance I’ll tell you more than I mean to. 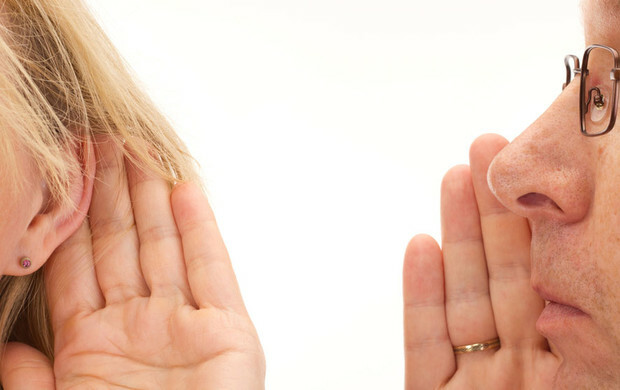 Active listening is listening with your full attention. It’s a vital skill. But it’s only half the story. Without the know-how to decipher the subtext – to pinpoint the values and beliefs that drive the speaker – your understanding will always be limited. If you’ve ever been asked back for coffee, you’ll know that interpretation is all. Equip yourself with the tools to recognise what a speaker is subconsciously giving away. You’ll take your listening to lightning speed. Be careful what you want, you might just get it. An answer to your precise question that is. But beware, questions can lead you up the garden path. Because your line of questioning not only betrays your intentions, it can limit your investigations from the outset. Q. What did you do at the weekend? A. I saw a movie. Q. What did you see? Who was in it? Who did you go with? Result? You have no idea know how they spent their weekend. Only how they spent two hours of it. Ask one question, then use minimal prompts to keep your fellow conversationalist talking. If I imagine myself in her shoes, I’ll understand how they are feeling. Really? What we imagine to be empathy, is at best an illusion, and at worst sheer arrogance. Yes, its agreed, to reach out to another person is commendable. But to imagine that we can have any appreciation of the traumas, joys, disappointments, victories and defeats that have brought someone to this moment in their lives, is delusional. So, when you find yourself saying, ‘If I was you, I’d do this’ you’ll be right. But only if you’re looking in the mirror. Don’t give advice based on ‘empathy’. Instead reflect your companion’s values and beliefs. That way, you’ll help them reach a solution that works for them.